Light scattering as a function of scattering angle can be regarded as a standard method to investigate the dynamics of dilute colloidal suspensions. Concentrated suspensions, which are of interest if interactions between the particles are to be investigated, usually show strong multiple scattering. Decorrelation of multiple scattered light, which isolates single scattering events at the expense of a reduced signal-to-noise ratio, has been proven to work using the two-colour crosscorrelation scheme. 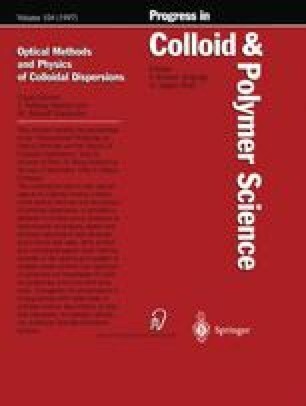 In this contribution we demonstrate for the first time the suppression of multiple scattering of a concentrated colloidal suspension at different scattering angles using the 3D cross-correlation technique. Our set-up is designed to extend both measurements towards smaller q values and the scattering intensity of the samples under study beyond the limits of existing apparatus. The latter feature will enable us to approach the photon-diffusion regime as far as possible using decorrelation methods.